Gammel Estrup has a history extending back almost 700 years. 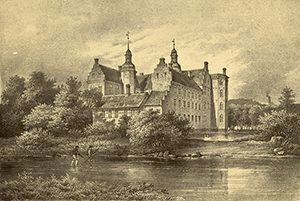 For the first six centuries, the manor was owned by the Brock/Scheel family, which through a large part of this time was one of the wealthiest and most powerful families in Denmark. Since 1930, Gammel Estrup has been a museum.